When you start to think about training your dog, whether it’s for basic obedience or any other reason, you should be aware of the different types of training available. Here at Colonial Dog Training we firmly believe that in-home training is the most effective training style, but also believe that certain dogs could benefit from a group training setting as well. Below I will do my best to give you the key differences between in-home and group classes, so you can choose which one fits your dog’s training needs. Group classes are a fun and appealing option when it comes to basic or advanced obedience courses for dogs. Classes will differ in sizes, but you will have other owners with their dogs learning the same tricks and commands alongside of you. Not only will this give you a way to connect with others in the same position as you, but it will also give your dog time to socialize with other dogs. Socialization at a young age can play a huge part in inhibiting fear or aggression issues from developing in the future. In this sometimes chaotic setting, you and your dog may be able to work on your communication skills and impulse control with distractions present. These are all great skills that are obtainable through a group setting, but there are some restrictions. While group classes may be great for basic obedience, they wouldn’t necessarily work in correcting more severe behavioral issues. A dog with separation anxiety, fear aggression or any other behavioral issue needs to have a trainer focused primarily on them which does not happen in a group setting. Furthermore, each dog learns at different speeds. It may be frustrating to see other dogs achieve goals that your dog needs more time with, or you may feel as if your being left behind. You will most likely learn basic information on dog behavior from the trainer, but usually not in great detail. These are all concerns and things you should consider when weighing out your training options. On the other hand, in-home training can provide dogs the correct attention they may need to fix their behavioral issue or obtain their training goals. 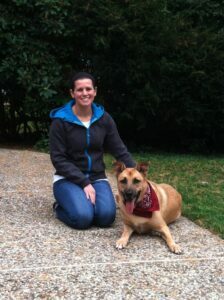 The trainer can work with the dog one-on-one which leads to completing specific training exercises for your dog. 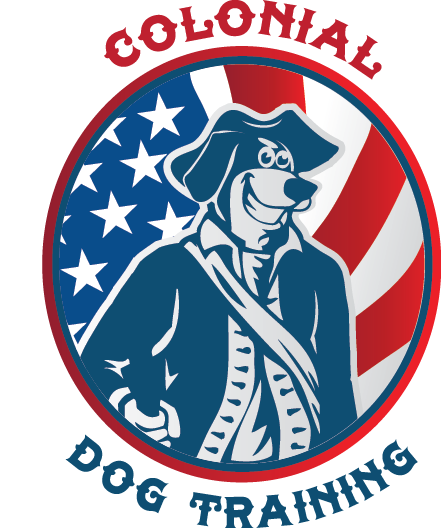 Here at Colonial Boston Dog Training, we customize each training program specific to your dog’s lifestyle and training needs. We provide detailed information on the core principles of dog training and dog behavior to help you understand your dog and ultimately become a more effective communicator. Our training is commitment-based, so our trainers will work with you until all of your goals are achieved. This is not offered in a group setting. In summation, I believe if your dog needs basic training as a puppy or advanced obedience than a group setting would work well. If your dog shows signs of a more severe behavioral issue or you would like a more direct/specific training program, then I would suggest an in-home training program. If you would like to sign up for my in-home training program, give us a call at 617.209.7721.